The Belmont University College of Pharmacy student A.I. team’s Artificial Intelligence Software for Amazon Alexa was the subject of an article in the February 2019 issue of Academic Pharmacy Now, the news magazine of the American Association of Colleges of Pharmacy. Founded in 1900, the American Association of Colleges of Pharmacy (AACP) is the national organization representing pharmacy education in the United States. The mission of AACP is to lead and partner with members in advancing pharmacy education, research, scholarship, practice and service to improve societal health. 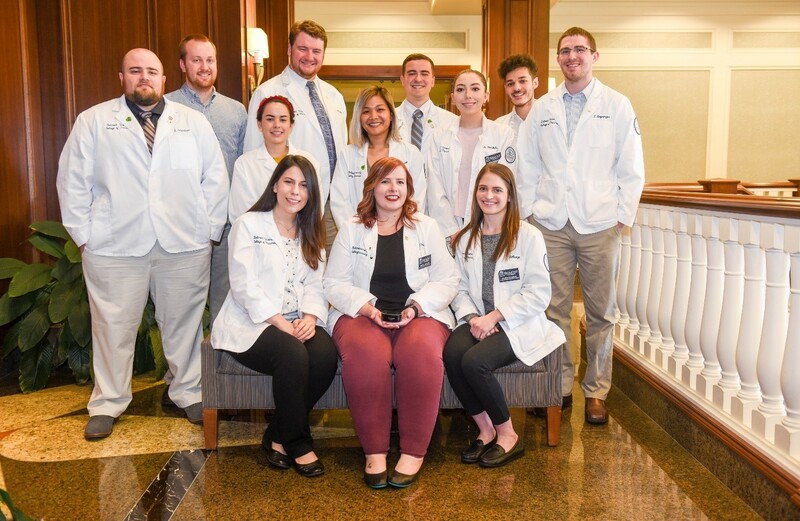 The association is comprised of all accredited colleges and schools with pharmacy degree programs accredited by the Accreditation Council for Pharmacy Education. The article featured College of Pharmacy students and their work with Amazon Alexa, an artificial intelligence platform capable of interacting with various types of information from thermostats to medical devices. As of January 2019, Amazon says more than 100 million Alexa-powered devices have been sold. Belmont students have added to the body of knowledge that Alexa possesses each year for the past 3 years. In June 2018, 12 students from the College of Pharmacy were recognized by Amazon Alexa’s certification team for acceptance of their artificial intelligence submissions. Since the inception of this initiative in fall 2017, Belmont’s team of student pharmacists has grown from eight initial members to a group of 35 registered Amazon Alexa developers. To date, the student pharmacists have developed more than 25 skills that have been peer-reviewed and certified by the Amazon Alexa team and subsequently made available in the Amazon store.